Q. How do I book library facilities? To book library facilities, you need to use SIT booking system. Step 1: Login with your SIT student ID and Password. 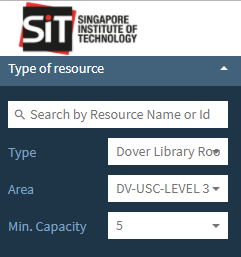 Step 2: In Criteria section, select 'Dover Library Room' for Type, 'DV-USC-LEVEL 3' for location and your minimum capacity accordingly. 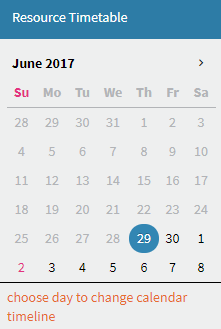 Step 3: Choose the date of your booking. 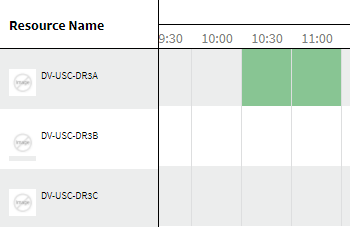 Step 4: On right side of the page, select the available time slot of the room of your choice. 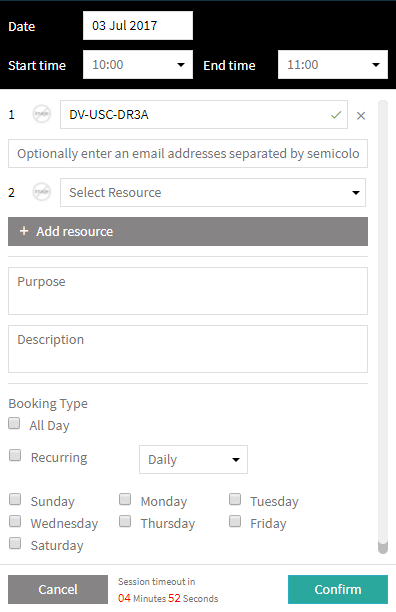 Step 5: Fill in other required information accordingly and and check whether have you selected the correct date/time for your booking. Once done, click 'Confirm' to confirm your booking. 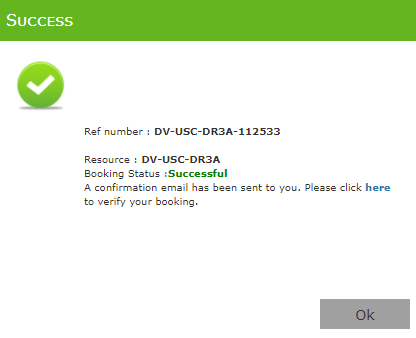 Step 6: A successful booking pop-up message once your booking has been successfully confirmed. You will receive an email listing your booking details.